If you remember the reality TV show called "The Apprentice" by Donald Trump, this is somewhat similar but with a better twist to it. 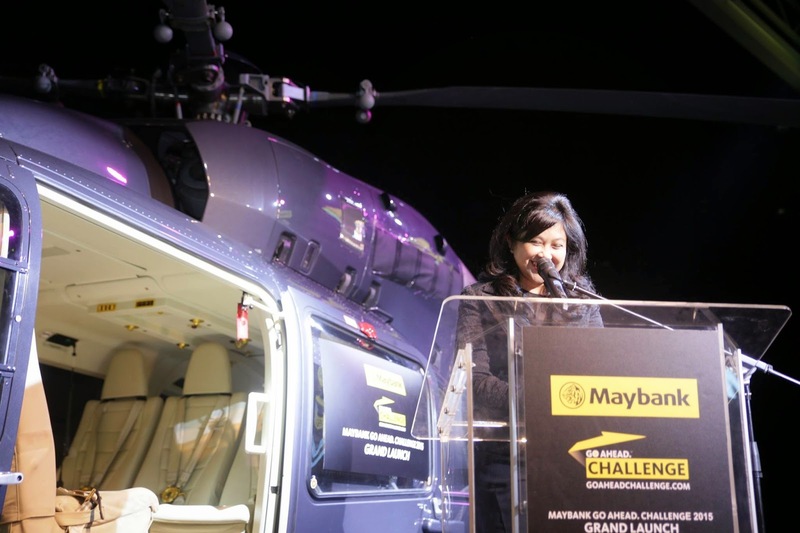 As my previous teasers on Instagram indicated about the upcoming launch of Maybank GO Ahead Challenge 2015 last week, was glad to be able to witness the official grand launching myself at a cool aircraft hangar in Subang Airport thanks to Manoah. The launch was officiated by Pn.Nora Abdul Manaf, Group Chief Human Capital Officer who gave an inspiring and warm welcome speech to all the fellow medias that was present that day. Not everyday you get to pose indoors beside a real copter, actually i just did at my recent work trip to LIMA 2015 lol. 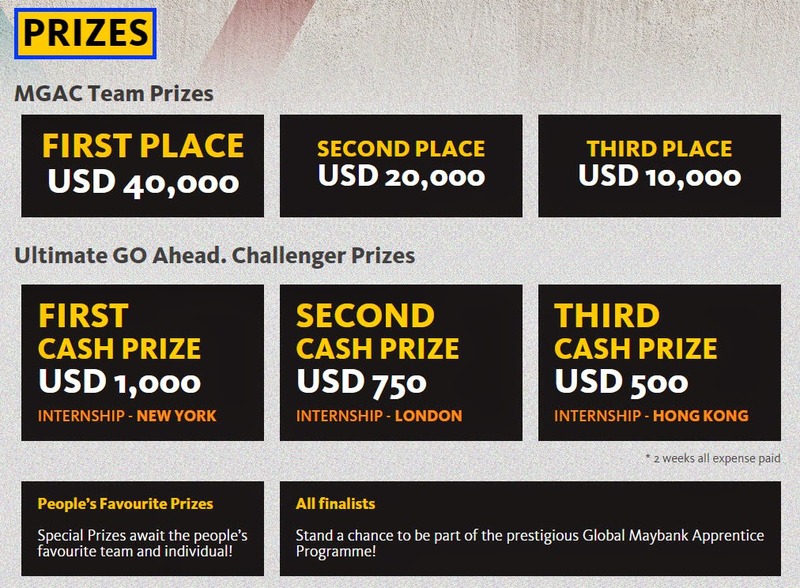 Maybank's GO Ahead Challenge has been proven globally successful in grooming potential leaders and pushing everyone's boundaries ever since this program was founded in 2012. This programme was developed by Maybank Apprentices to seek out the right potential candidates to be part of the ever expanding organization. To be frank i do not see this challenge as just another competition but a GOLDEN gateway to build a career path for the future especially if you are a freshie without any experiences in the world and where else are you going to get all the exposure you need under one roof? First of all it's MAYBANK, nuff' said and their main prize is up to USD40,000. What else can be more attractive than that? Lol. You also get to earn a fast track pass onto their prestigious Global Maybank Apprentice Program which is a bespoke 2 year training & mentorship program with job rotations spanning across various departments and even an opportunity at the International placement at Maybank Offices. Challenge is opened to anyone, especially all final year students and recent graduates (like myself yay!) from 14 different countries across the region & world, where Maybank has its significant presence. Application closes on 17th May 2015. So are you ready to discover yourself?